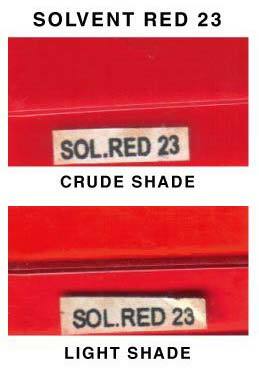 We are reckoned among the renowned Manufacturers, Exporters and Suppliers of Solvent Red 23. As the formulation of our Solvent Red 23 is done using quality approved ingredients, one can use it without any doubt. Our Solvent Red 23 is subjected to stringent quality tests so as to ensure that only well-tested product reaches the customers’ end.